They bump the funding for SGIP, create an additional 500-megawatt deployment goal, and more. California already leads the nation in energy storage deployments, but the legislature decided there was more to do on the policy end. Governor Jerry Brown signed four bills into law Monday to further develop and streamline the state's storage market. They direct the California Public Utilities Commission to evaluate the role large-scale storage can play for the integration of renewable energy, create an independent body to resolve storage interconnection disputes, expand funding for the Self-Generation Incentive Program by $249 million, and urge the state's three investor-owned utilities to invest in up to 500 megawatts of storage projects on top of the existing 1,325-megawatt procurement target. California has set a high bar for clean energy achievement. 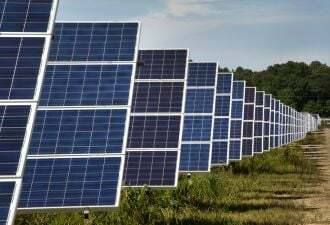 The state is pursuing 50 percent renewable energy by 2030, and aims to cut its greenhouse gas emissions to 40 percent below 1990 levels by 2030 as well. Reaching such high amounts of variable renewable generation all but requires a wider build-out of storage capacity to give the grid more control over when that wind and solar power is consumed. Whereas storage bills have languished in Congress, California's leaders have demonstrated they know what storage can do and want to enlarge its role in the state. 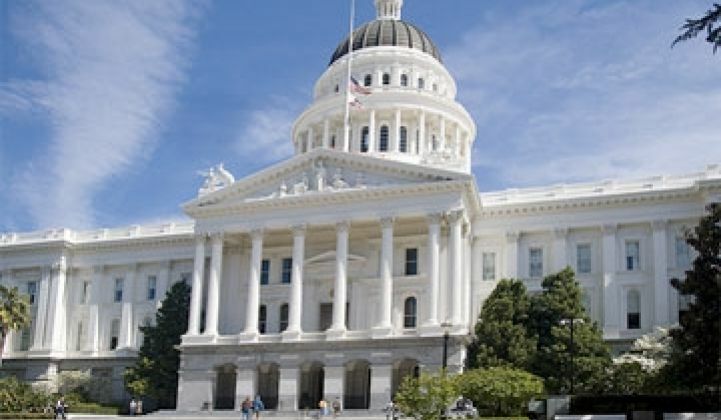 "These four bills will accelerate the market opportunities for energy storage in California and give the state more options for how to use storage to meet the grid’s needs," said Alex Morris, director of policy and regulatory affairs at the California Energy Storage Alliance. With 73.2 megawatts of storage capacity, California has deployed more storage than any other single state. With that much in use, the state has a bounty of installations to analyze in order to refine the existing procedures. Other states are watching, so the optimization underway in this jurisdiction will set an example for younger storage markets. In order for a storage market to thrive, developers have to have a simple and predictable way to connect newly deployed systems to the grid. Without strong interconnection standards, projects can get held up waiting for approval from the utility, which may then ask for large amounts of money if it deems the project will require upgrades to the surrounding grid infrastructure. Previously, if a developer took issue with the utilities' assessment of costs to connect to the distribution grid, the avenues to address it were limited. The developer could go to an ombudsman who was paid by the utility, or shoulder the financial burden of going to court, Morris said. Newly signed AB 2861 could change that. It authorizes the CPUC to create an independent dispute-resolution panel, staffed by electrical systems experts. Their job is to evaluate a disputed interconnection fee, gathering input from both sides and ruling on the case within 60 days. This kind of contested outside evaluation should incentivize good behavior on both sides of the deal. That's something other states can learn from as they endeavor to make the interconnection process smoother and cheaper. AB 2868 is aimed at increasing the overall size of the storage market by directing utilities to deploy up to 500 megawatts of additional storage capacity, of which no more than a quarter can be behind-the-meter. New capacity from this program would be divided equally among the three big utilities. The law also directs the CPUC to prioritize projects for public-sector and low-income customers. It's not clear exactly how much an effect this law will have, given that the target is to "not exceed 500 megawatts." The utilities can't disobey an order from the legislature, delivered via the CPUC, but they could theoretically lowball it. Three megawatts of new storage, divided evenly among the big three IOUs, would not do a whole lot to modernize the California grid. The real heft here might be the statement of intent: The legislature has declared its desire to see additional storage beyond what's already been called for, and if the utilities fail to carry out the task in good faith they could face repercussions. Speaking of statements of intent, AB 33 declares the legislature's wish that the CPUC pay extra attention to long-duration storage for the grid. Deployments in recent years have been dominated by lithium-ion batteries, which work better for short-term use. To integrate renewables effectively, though, requires storing the energy from peak solar generation for several hours until the evening demand peak. "The commission, in coordination with the Energy Commission, shall, as part of a new or existing proceeding, evaluate and analyze the potential for all types of long-duration bulk energy storage resources to help integrate renewable generation into the electrical grid," the law says. Now, it's not like the CPUC was totally unaware of long-duration bulk storage. California already has 3,100 megawatts of pumped hydro storage, which is ideal for long-duration use. This bill simply elevates the significance of the topic to ensure it gets a little more attention going forward. Lastly, the government let the money do the talking in AB 1637 by authorizing the CPUC to double the budget for the Self-Generation Incentive Program for the next three years. CESA says this adds $249 million to the pot for small-scale distributed energy resources, including storage. The incentive program had come under fire initially when a couple of companies, including the carbon-emitting fuel-cell maker Bloom Energy, were able to monopolize most of the early disbursements. The CPUC has been retooling the program to democratize who gets the money, and to put most of the funding toward energy storage specifically. Taken together, this set of laws indicates a maturing industry. The modern energy storage boom has been around enough for policymakers to think of things to improve that hadn't occurred to them earlier -- and to double down on things that are working.